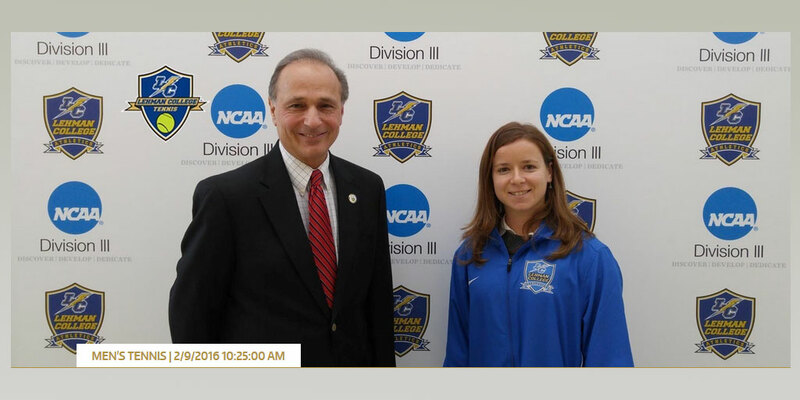 The Lehman College Athletics Department welcomed two new coaches to continue the Lightning’s tradition of athletic success. Ana Belzunce was appointed in February of last year as men’s and women’s tennis coach. She brings a wealth of experience to the Lightning, having coached at the John McEnroe Tennis Academy in Randall’s Island, as well as with the Tennis Federation of Madrid and Premier Tennis in Oxford in the United Kingdom. A native of Spain, Belzunce has played No. 1 singles for several clubs in Europe including RCP Barcelona (Spain), Neuilly Plaisance Sports and TC de Saint Gaudens (France) and HTC Bad Neuenahr (Germany). “I am looking forward to successful days ahead for both of our tennis teams,” said Dr. Martin L. Zwiren, director of athletics at Lehman. During Belzunce’s first season, the women’s tennis team reached the City University of New York Athletic Conference (CUNYAC) championship for the first time in the school’s history. Although they did not win the conference, it was a historic feat. 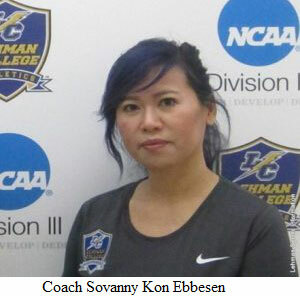 In January, Dr. Zwiren also announced that Sovanny Kon Ebbesen would be joining the College community as the Lightning’s new head men’s and women’s volleyball coach.